A long walk through a lifetime of food. As I was saying in my last post, ‘I miss Mexican.’ Though, I am not entirely sure this soup is actually Mexican or if it in fact has roots in Mexico City. Who knows? I don’t. This soup used to be served on Sunday nights at Houston’s restaurant in Chicago many many moons ago. And, though this is a popular and one of the better steakhouse chains, the one in Chicago closed. I have been making this for years but have recently reworked my recipe. I adapted the chicken stock recipe from Smitten Kitchen’s Chicken Noodle Soup recipe. I liked her minimalist approach. So, the preparation of the chicken stock for this soup is basically her genius. Chop tomatoes, onions, marrow, avo, and carrots (not pictured) and cut corn from cob. Set aside. 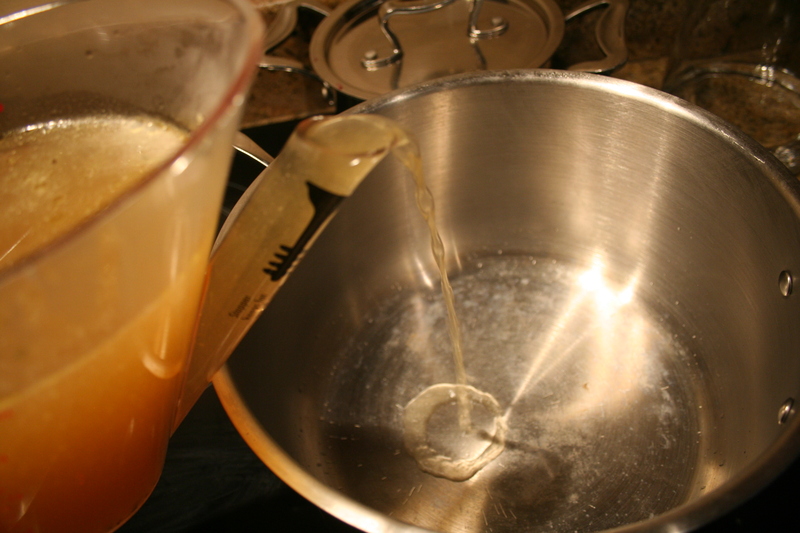 Add homemade chicken stock and water to a large pot and bring to a simmer over medium heat. 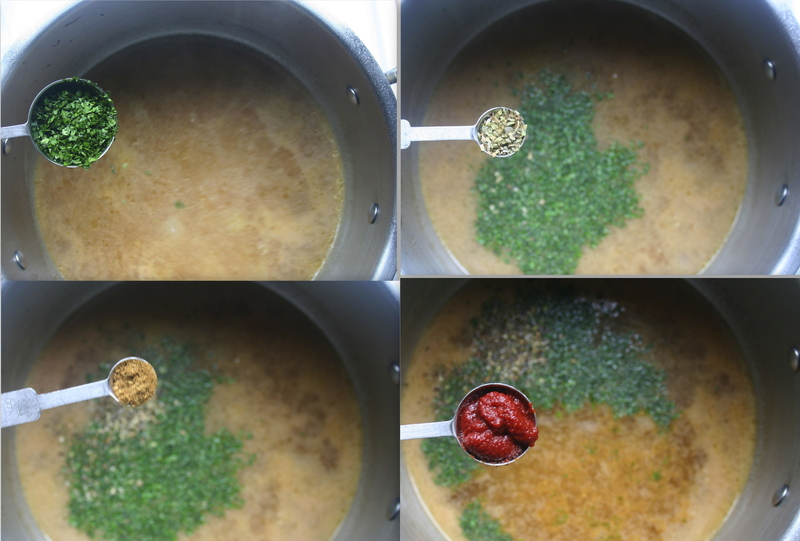 Spar Chicken Stock – salt, spice, thickener free. 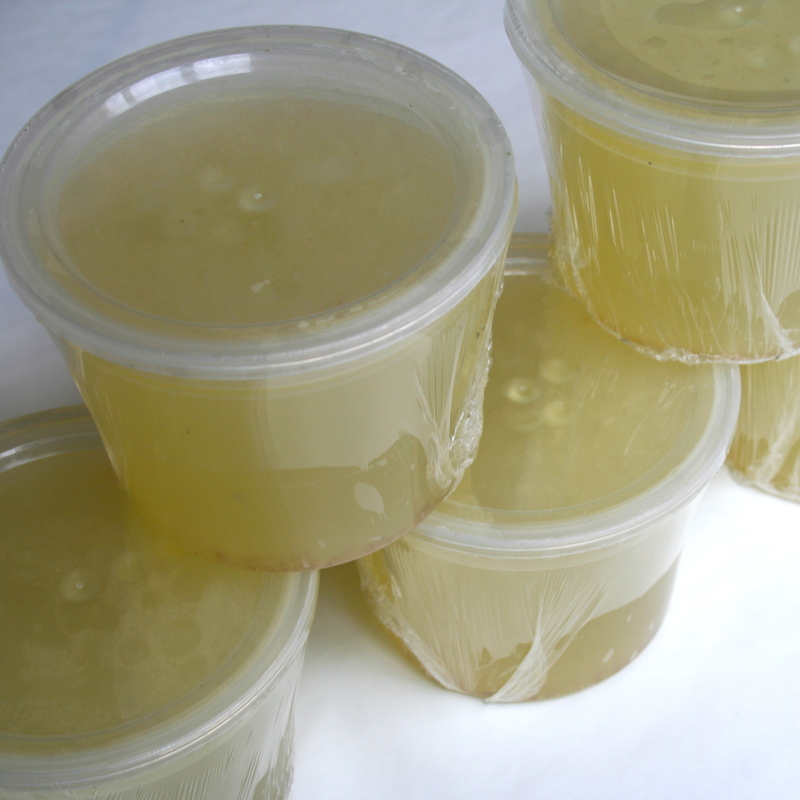 If you don’ have the time or the inclination to make homemade stock, your next best option is to ask Spar to make it for you. I find I can never make enough stock. So, I often ask Spar to do it. I typically go to the Broadacres Spar in the northern suburbs of Johannesburg. They are all too happy to make anything you want, really. I usually ask for sodium free, spice/seasoning free and thickener free. This way I get a nice consistent neutral base for whatever I am preparing. I typically get 5 liters at a time. They need about 48 hours notice and maybe a bit more as we are getting closer to the festive season. I would say if you go through the trouble of making soup at home, don’t use canned or boxed stock or bouillon cubes or bouillon powder. I find these tend to impart a very unnatural to unpleasant flavor and are typically way too salty. Add the chopped fresh coriander, oregano, cumin, tomato paste and garlic (not pictured). Add the carrots and cook until tender. I prefer to cook the carrot instead of serving raw like the other vegetables. Carrots are just a little to hard i think to go into a cooked dish. Add the chicken and cook for and additional 5 minutes just before serving. Salt, pepper and hot sauce to taste. Many Mexican dishes are quite spicy. 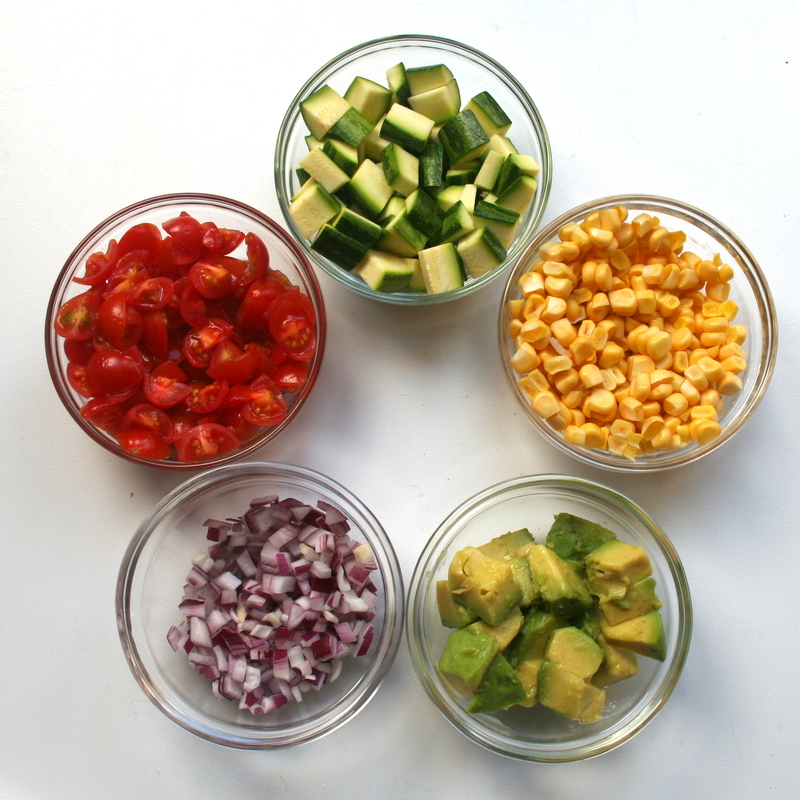 Mound rice in center of a bowl then add the onions, marrow (zucchini), tomatoes, corn and avo. Ladle piping hot soup into the rice bowls. 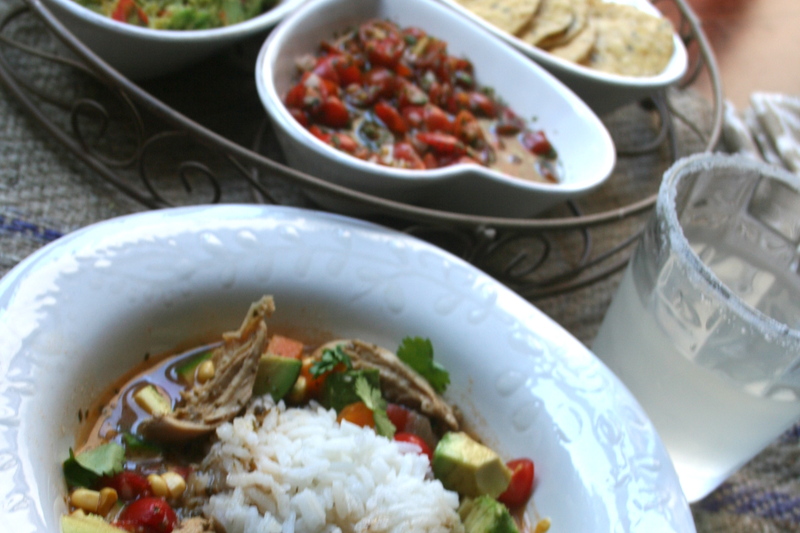 Serve with salsa, guacamole, corn chips and Margarita’s. To make this a vegetarian/healthier version, substitute beans for chicken and use brown rice instead of white. 250 – 500 mls (1 – 2 cups) cooked chicken torn or shredded into bite size pieces (or 1 -2 cup cooked beans) depending on how meaty or beany you want it. I used 2 chicken breasts for the meat. 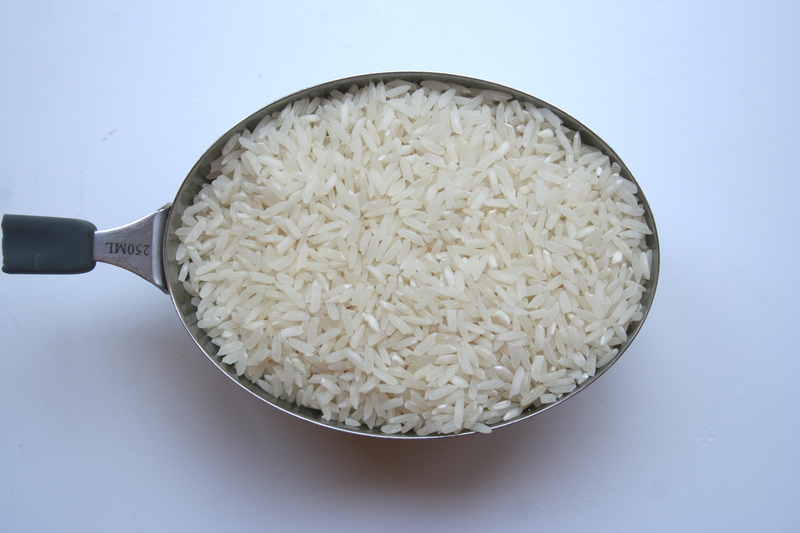 Prepare rice according to packaged directions. Set aside. Chopped vegetables and put in separate small serving dishes. Set aside. 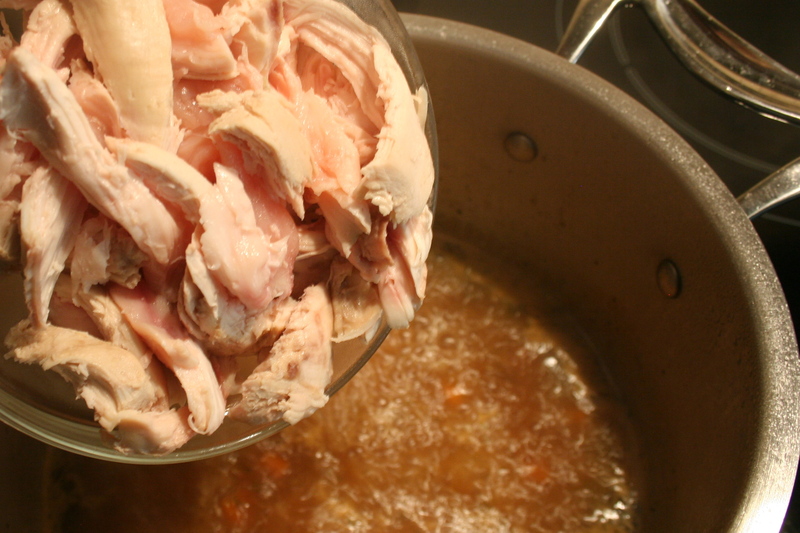 Add homemade chicken stock and water to a stock pot and bring up to simmer over medium heat. 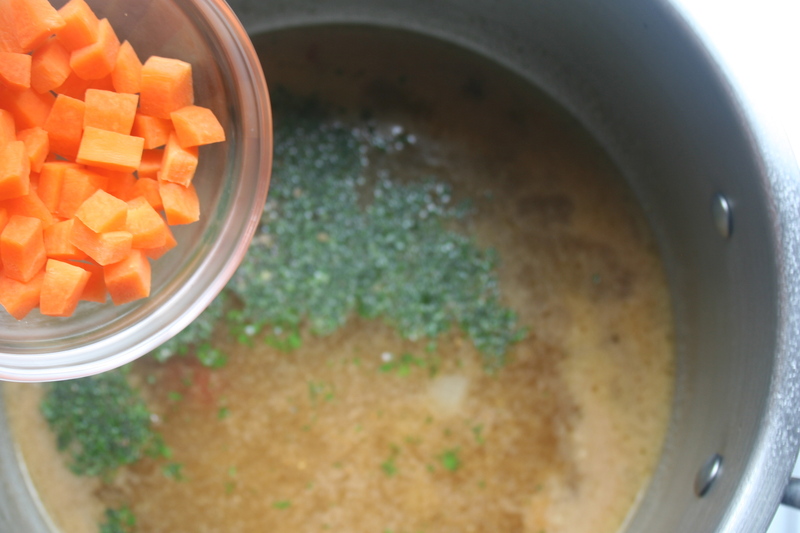 Add the coriander (cilantro), oregano, cumin, garlic, tomato paste, garlic and carrots. Cook until carrots are just about tender. Then add the chicken cook for about 5 minutes to warm the chicken through. Take care not to overcook chicken or it will toughen. Add salt, pepper and hot sauce to taste. 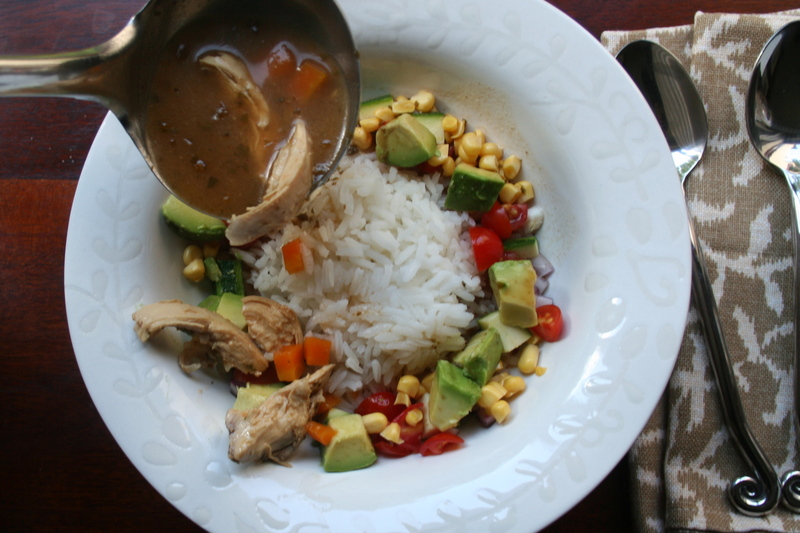 Mound rice in center of a bowl then allow diners to add the onions, marrow (zucchini), tomatoes, corn and avo to their individual bowls, then ladle on soup around the rice mound. Enjoy with salsa, guacamole, chips and a frosty Margarita. Sounds like a perfect soup! In Dallas they add fresh cooked tortilla strips. for a nice finish. This dish is low fat and high fiber, especially of you add black beans. A perfect lunch! I love this and must try soon! Dear Gentle Reader, you are referring to Houston’s Tortilla Chicken Soup, which is different from the Mexico City Chicken Soup. Houston’s has the Mexico City Chicken and Rice Soup, it is wonderful I had it last evening. It isn’t the tortilla soup, also on the menu. This is much better. Yeah, I know. I have actually never had the Tortilla soup. The first time I patronized Houston’s i Chicago, I had the Mex City Soup and never tried another one. I was totally hooked!!! Oh yeah, by the way, Houston’s Restaurant is still open in Dallas. Thank you so much. I love the photos and step by step process. Thank you!! Glad you liked it! Sorry I an so late with the response. Blogging can be overwhelming!!!! Awwww! Thank you Judy! Glad you like it!!! 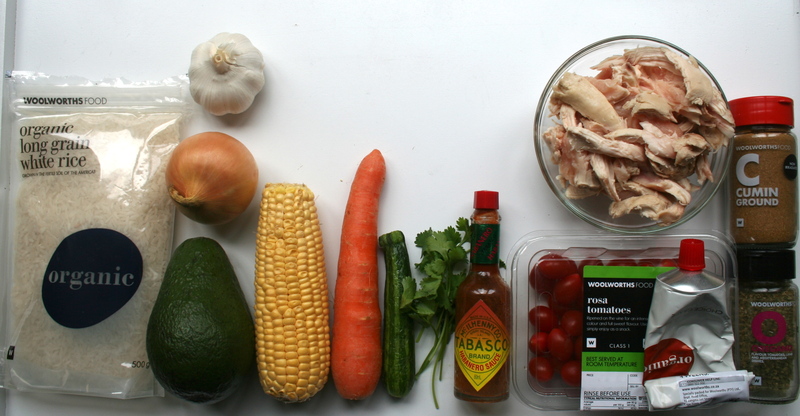 Papasitos makes this soup and it is to die for. I have been searching for a recipe that was similar so thank you!!! They also have this soup at Papasito’s…..I had it and loved it!!! I’ve been searching for a recipe, so I’m glad I found yours. Thank you!! You are quite welcome. Where is Papasito’s? Is it a chain? I’ll have to try it the next time i’m in the States. I love your recipe!! I live in Dallas and this is a PERFECT recreation! Thank you! ! Houston’s is still serving this soup on Sunday!